Please click on the link below to download the school lunches menu for this term. As of the 5th of January 2015 all Primary 1-3 children will be entitled to a free school meal. This Scottish Government funded initiative will entitle all Primary 1 to 3 children to a free school meal at lunch time only – you will still need to provide your child with money for any other service provision in school such as morning break or breakfast. The meal is completely optional and all the choices provided are healthy and nutritious and meet all the requirements of the Scottish School’s Health Promotion and Nutrition Act. There is no application form involved for a child in Primary 1-3 to have a school meal however you will still need to apply for clothing grants where applicable. If your child has a medically confirmed special diet an application form (available on request from school) must be completed and returned to the Head Teacher. This initiative does not cover children in Primary 4 to 7, who, if entitled still need to apply for Free Sch.ool Meals following the usual process. 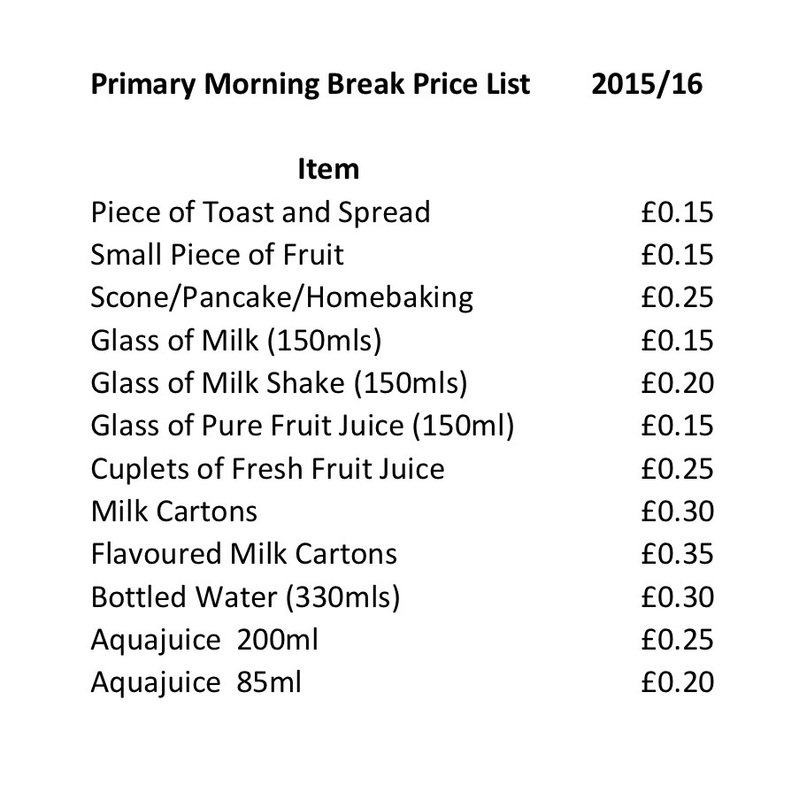 A school meal currently costs £2.30 for P4-7. School meals should be paid for in advance on the Monday for the coming week. It is very helpful if lunch money can be sent to school with your child in an envelope clearly labeled with name, class and the days being paid for. I would like to know what it is so i know if my child needs a pack lunch or not. Hi the link above should lead to school menu planner. If not, contact the school who can issue you with a paper copy. Leave child's name, class and reason for absence.